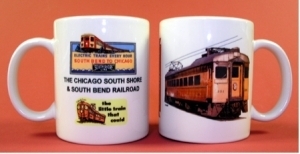 The Southshore Line is still in operation, though not the once proud transit system of the past. Trolley of the Southshore Lines. 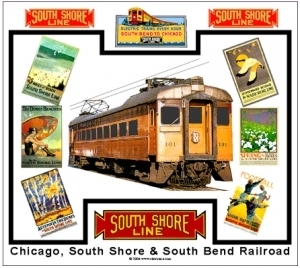 Mouse Pad with a Southshore trolley, several logos a period billboard and six promotional posters used by the Southshore to promote the area it served. 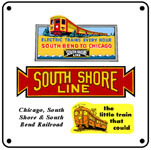 6 inch x 6 inch square tin logos and images of the South Shore Railroad.